The Corner Bar & Grill is a fun and friendly restaurant in Fenton, Michigan. We are a prime destination for homemade food, craft beer and handcrafted drinks. From the minute you step into our restaurant, you’ll appreciate our unique mix of fun and elegance. We inject that vibe into everything we do. 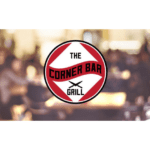 Corner Bar & Grill is a next level rock ‘n’ roll gastro pub in Fenton, MI, serving up superior customer service and fantastic food. The Laundry is a European-inspired New American comfort-food spot offers vintage decor & a sizable sandwich list. The Rough Draught Coffee and Barroom offers Craft beer, craft cocktails, exceptional wines, and baristas on staff to create any latte, cappuccino, or gourmet coffee. Sandwiches, salads, & appetizers!